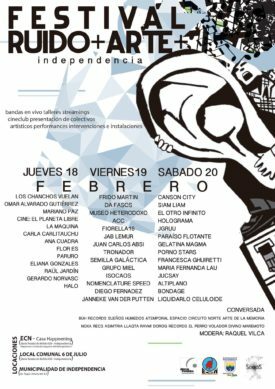 Honoured that the Festival de Ruido y Arte en independencia –FRAi, will present my video ‘Directed to the Sun’ made in 2015 during my artist-in-residencies at Association Aloardi and Tupac Cultural Association, Lima, Peru. Curated by Hector Acuña and Juc Say. Made with the support of SEQES and Espacio Circuito Norte. Link video (password: inti).